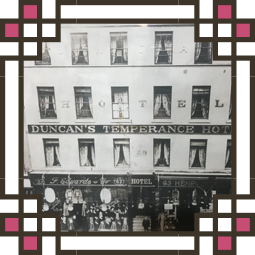 The hotel is one of only two original buildings that still exist which formed part of the forgotten Grahamston Village. The village dates back to 1680, initially inhabited by a row of thatched cottages, though over the following century it grew into a promenant commercial and industrial district at the heart of the thriving city of Glasgow. Grahamston, however, vanished beneath the foundations of Central Station more than 100 years ago. 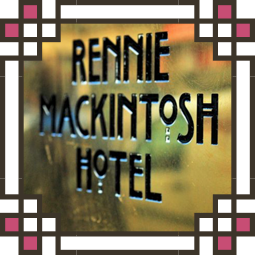 Today, the memory of the Grahamston Village lives on in the two surviving buildings; here in the Rennie Mackintosh Hotel and the Grant Arms pub in Argyle Street, a 50 metre walk from the hotel. 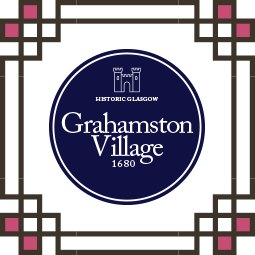 In this fascinating book, historian Norrie Gilliland brings Grahamston Village back to life and shows the important role it played in the growth of Glasgow and its history. This book is required reading for anyone who thinks they know Glasgow and its history, and for everyone who likes a good detective story. "Thanks to Norrie Gillieland, the village of Grahamston, now partially burried beneath the pile of Central Station, is not so much forgotten as hidden. In his capable hands the community is brought back to life." - Edward J Cowan, Professorof Scottish History, University of Glasgow.